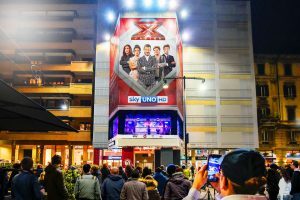 Thanks to Addendo – creative company of Urban Vision group focused on cross media projects– the Navigli area in Milan became for one-night the stage of an open-air silent discotech promoted by Nastro Azzurro. 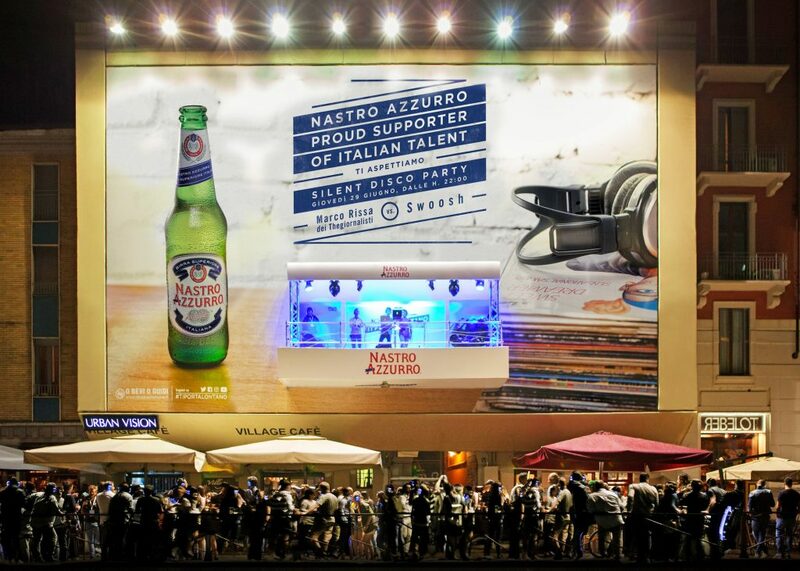 On the 29th of June, the renown Italian beer brand set up a 3.0 DJ set. 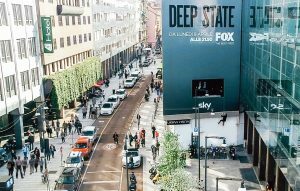 Stage of the event was Urban Vision maxi billboard in Ripa di Porta Ticinese. 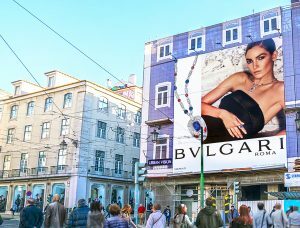 The banner has been equipped with a special fabric, ‘the Breath’, exclusively distributed by Urban Vision and capable of absorbing pollution. Marco Rissa, guitarist and keyboardist of the band TheGiornalisti, was the main guest of this unconventional evening devoted to sustainability in an unprecedented setting, along with the young and promising roman producer Swoosh. 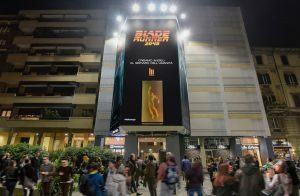 Starting at 22.00 pm, the artists animated the night, while the audience enjoyed the performance thanks to special wireless headphones – provided by the brand at the cost of a beer. The event, conceived and realized by Addendo, is part of the Nastro Azzurro campaign #tiportolontano, aimed at supporting the Italian talent ‘capable of looking beyond, and gather new forces, through the love for music’.